United Resource uses the Vactor 2115 Combo/Hydro-Excavator. This multi-tasking unit is so efficient, that it eliminates the need for various other equipment, saving our clients up to 50% of the cost of using single function equipment. All of our trucks are equipped with the latest GPS technology to locate and map drainage structures quickly and effectively. Our equipment operators have mastered the art of pipe cleaning and use a variety of custom cleaning tools to effectively remove dirt, roots and debris and restore the pipe to its original flow capacity. United Resource uses the latest CCTV equipment and reporting methods. We provide unmatched quality and reliability for all your inspection needs. 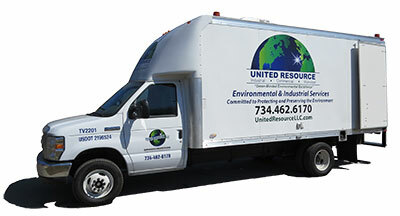 United Resource’s service technicians will thoroughly test pipe conditions and prepare a detailed report of their findings.